A recent article in a pro-Hizballah media site tells the “Story of Two Martyrs,” Ibrahim and Ahmad Shihab, cousins who grew up together in the town of Baraachit in southern Lebanon. The two were close and went on “jihad” together in June 2016, fighting in the “same trench” in Syria. They were killed in action shortly thereafter, along with another lifelong friend from their hometown who was also a member of the extended Shihab clan. The story of the two cousins and their friendship sheds light on the workings of organizations like Hizballah, which has morphed from a shadowy underground resistance movement and communal militia into a large, quasi-regular military force. In many cases, members belong to the same family or clan, or are close friends. Indeed, this is true of many local and foreign militias that have participated in Syria’s civil war. These social solidarities may contribute to the effectiveness of these militias, as well as organizations like Hizballah, whose institutional DNA still bears the imprint of its militia origins. The additional American ground forces sent to Afghanistan this year are concentrating on Taliban logistics and that means attacks on the drug gang infrastructure. There are thirteen drug gangs in Afghanistan and most rely on Helmand for something. Most of these gangs have a major part of their heroin production in Helmand and all depend on the Helmand access to Pakistan where the military has sufficient authority to make sure chemicals and lab equipment (required to turn the bulky opium into the more compact and much more valuable heroin) get across the border and into Helmand. Half of the opium and heroin leaves the country via Pakistan. Helmand is the key to drug gang operations and the bulk of Taliban income. YANGON/JAKARTA -- With Mt. Agung billowing volcanic ash into the sky above his home in Bali, Khairy Susanto was unsure if he could fly back after joining tens of thousands of fellow Indonesian Islamists at a rally near the presidential palace in Jakarta. "Inshallah, we can fly, but it doesn't matter, we will be OK," Susanto said. "We are happy to be here today to celebrate our victory." 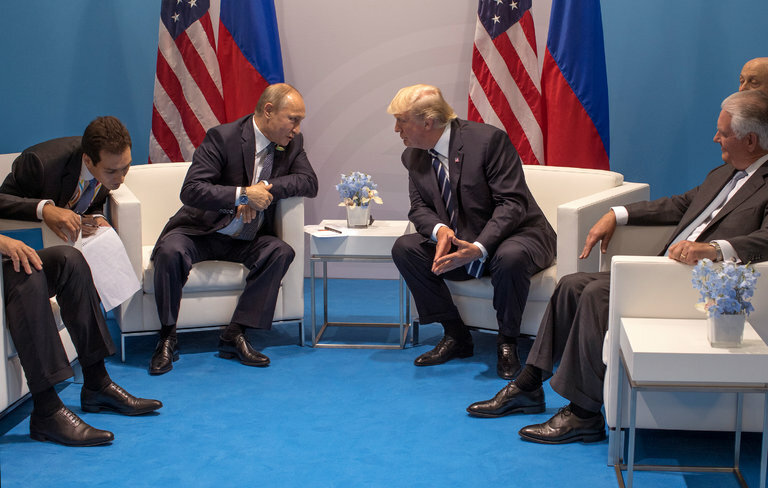 WASHINGTON — President Trump’s first national security strategy envisions a world in which the United States confronts two “revisionist” powers — China and Russia — that are seeking to change the global status quo, often to the detriment of America’s interests. But while the document outlines a detailed plan to push back against China’s global economic ambitions, it says little about dealing with the kind of cyber and information warfare techniques that Moscow used to try to influence the 2016 presidential election. With respect to China policy, the Trump administration has been focused on the North Korean nuclear issue. The Trump administration has pursued a strategy of maximum pressure on North Korea, including declaring North Korea a state sponsor of terrorism and enacting biting sanctions. Earlier this year, the US imposed sanctions on two Chinese individuals as well as the Dalian Global Unity Shipping company and the Bank of Dandong. In September, the Treasury Department added eight North Korean banks and 26 individuals to its list of sanctions, with the majority of the individuals listed residing in China. Most recently on November 21, the Trump administration announced further sanctions, targeting one individual, 30 companies, and 20 vessels that had engaged in trade with North Korea. The former Islamic State stronghold of Raqqa has been liberated, yet the city remains largely uninhabitable, criss-crossed with mines and strewn with rotting corpses. One man has made it his mission to bring the city back to life. 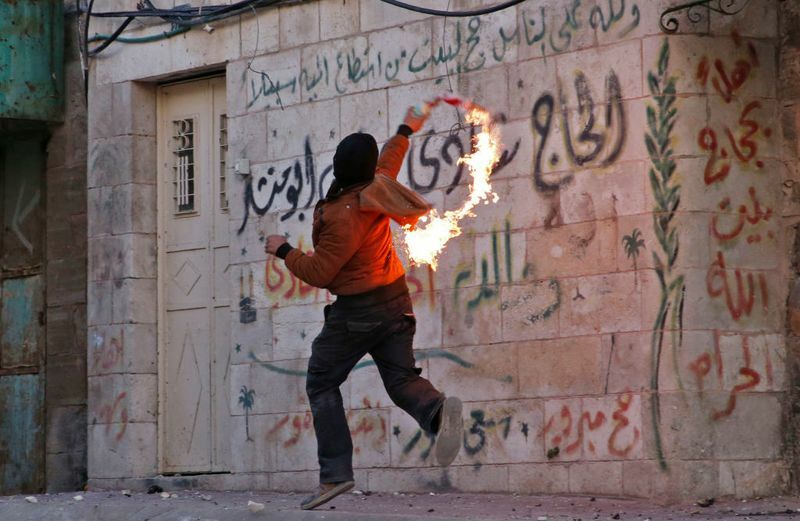 On Dalla Square, where uniformed teens sit around a chipboard fire at the first checkpoint into the city, Abdullah al-Arian notices that the smell is still there. The smell of the "caliphate." The smell of the military offensive. The smell of death. It’s no surprise that U.S. President Donald Trump’s decision to recognize Jerusalem as Israel’s capital has sparked violence in the West Bank and Beirut, or even protests in far-flung Indonesia, which is majority Muslim. But Sweden? Yet the western Swedish city of Gothenburg, headquarters of Volvo Car AB, saw the firebombing of a synagogue on Friday. The same evening, demonstrators in Malmö, in Sweden’s far south, called for their own “intifada” and threatened to shoot Jews. In 2012, the Pentagon’s senior leadership secretly established a new office to work on state-of-the-art weapons. For the next four years, officials there labored away quietly on projects ranging from swarming microdrones to hypervelocity projectiles, until the Pentagon finally revealed the organization’s existence. This shadowy division, called the Strategic Capabilities Office, or SCO, formed part of a larger military strategy to advance technology, known as the Third Offset. A new U.S. national security strategy plan presents China and Russia as competitors that want to realign global power in their interests, potentially threatening the United States, Trump administration officials said Sunday. President Trump will present the strategy, a kind of mission statement that guides policymaking, in a speech Monday. Its broad outlines follow his “America First” doctrine of national sovereignty and putting a priority on the economic implications of global engagement. Officials said its main tenets are already in practice. Summary: Russia has employed a range of policy tools in recent years to undermine elements of the U.S.-led international order and expand Moscow’s influence on the global stage. Since 2012, Russia has been conducting a sophisticated, well-resourced, and, thus far, successful campaign to expand its global influence at the expense of the United States and other Western countries. Moscow has pursued a host of objectives, such as tarnishing democracy and undermining the U.S.-led liberal international order, especially in places of traditional U.S. influence; dividing Western political and security institutions; demonstrating Russia’s return as a global superpower; bolstering Vladimir Putin’s domestic legitimacy; and promoting Russian commercial, military, and energy interests. Editor’s Note: Have you ever wondered what writing a book in the national security field entailed? What authors go through, and how they approach a massive writing project? Today marks a new kind of series at War on the Rocks. Cambridge University Press has commissioned Van Jackson, a WOTR senior editor, to write a general interest book about the causes, consequences and risks of the ongoing nuclear standoff on the Korean Peninsula. The catch: He has only six months to complete the 80,000-word manuscript, from scratch. In this unique series, Van will document the daily rhythm of his writing process and progress — highs, lows, pitfalls, distractions, and what works for him. Will Ukraine Be Hit by Yet Another Holiday Power-Grid Hack? The holiday season has not been a joyful time with respect to Ukraine’s power grid. Days before Christmas in 2015, remote hackers wrested control from Ukrainian grid operators, and, by digitally commandeering substations, shut off power for 225,000 customers for several hours. Then, in mid-December of last year, hackers developed a malicious code that, without any real-time human support, disrupted a Kiev transmission station and caused a substantial blackout that lasted roughly an hour in the capital—in the first fully automated grid attack ever seen. The other day we learned  that there are four times more U.S. troops in Syria than any earlier official figure had acknowledged. The discrepancy did not get much public attention, perhaps because the numbers are small compared to some other U.S. military deployments: about 2,000 troops in Syria, with the earlier official figure being 500. The incomplete count evidently had omitted personnel on short-term assignments and some others performing sensitive missions. A Pentagon spokesman said that release of the newer, more complete figure is part of an effort by Secretary of Defense James Mattis to be more transparent. Hackers likely working for a nation-state recently invaded the safety system of a critical infrastructure facility in a watershed attack that halted plant operations, according to cyber investigators and the firm whose software was targeted. FireEye Inc (FEYE.O) disclosed the incident on Thursday, saying it targeted Triconex industrial safety technology from Schneider Electric SE (SCHN.PA). Schneider confirmed that the incident had occurred and that it had issued a security alert to users of Triconex, which cyber experts said is widely used in the energy industry, including at nuclear facilities, and oil and gas plants. As threats of computer intrusions proliferate, many companies have rightly focused their efforts on fending them off. But few train their staffs on how to spot or respond to other techniques used to steal company secrets, including those exploited by employees with inside access. This topic came up during a recent discussion that my old friend and Stratfor colleague Fred Burton and I participated in for a webinar produced for Stratfor's Threat Lens site called "Beyond the Cyber Espionage Threat." In the course of our presentation, we noted how employees who steal a company's intellectual crown jewels can be driven by a range of motives. While money is often the goal, other factors, including satisfying egos or opposing a company's activity, can push employees to bite the hand that feeds them. 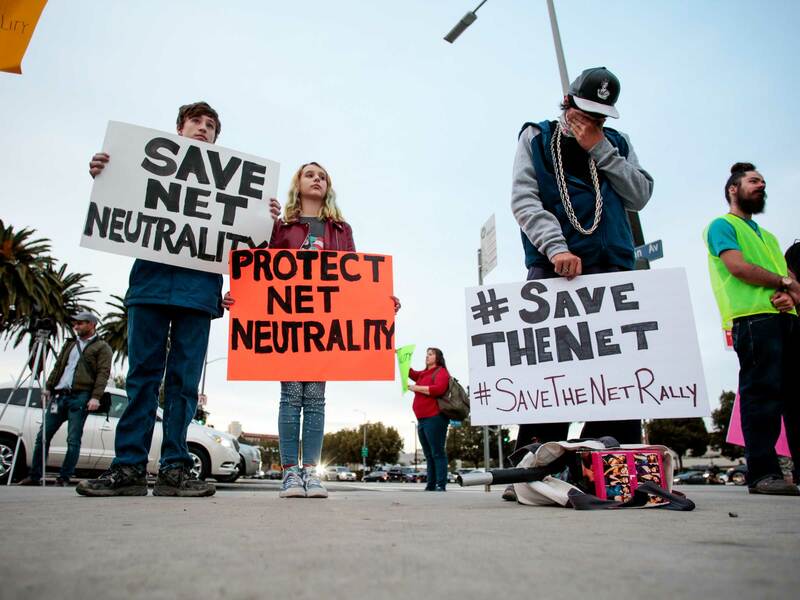 When the Federal Communications Commission (FCC) voted December 14 to repeal the rules protecting a fast, fair, and open internet, the lobbyists for the internet service providers realized their long-envisioned strategy to gut the authority of the agency that since 1934 has been charged with overseeing the activities of the nation’s essential networks. “Here’s how the telecom industry plans to defang their regulators,” a September 12, 2013 Washington Post headline announced. “[T]elecom giants including Verizon, AT&T and Comcast have launched multiple efforts to shift regulation of their broadband business to other agencies that don’t have nearly as much power as the FCC,” the article explained. The Army is undertaking several initiatives to reorganize itself to integrate emerging technologies, capabilities and concepts within formations and maneuver units. The first is the introduction of cyber and electromagnetic activities (CEMA) cells within all operational units. Over the summer, Maj. Gen. John Morrison, commander of the Cyber Center of Excellence, explained that the service is looking to insert CEMA cells into operational formations. Big data, the Internet of Things, and artificial intelligence hold such disruptive power that they have inverted the dynamics of technology leadership. When science and technology meet social and economic systems, you tend to see something akin to what the late Stephen Jay Gould called “punctuated equilibrium” in his description of evolutionary biology. Something that has been stable for a long period is suddenly disrupted radically—and then settles into a new equilibrium.1Analogues across social and economic history include the discovery of fire, the domestication of dogs, the emergence of agricultural techniques, and, in more recent times, the Gutenberg printing press, the Jacquard loom, urban electrification, the automobile, the microprocessor, and the Internet. Each of these innovations collided with a society that had been in a period of relative stasis—followed by massive disruption. For the first time since the Cold War, the U.S. military is relearning what it would take to fight alongside its NATO allies on the European continent, and the soldiers and Marines who took part in the first year of rotational deployments have a few requests. As part of U.S. efforts to reassure European allies and deter Russian aggression, the Army dispatched one of the 10th Mountain Division’s aviation brigades to Europe for nine months, and sent an armored brigade from the 4th Infantry Division to join NATO’s multinational Enhanced Forward Presence battle groups in Poland. 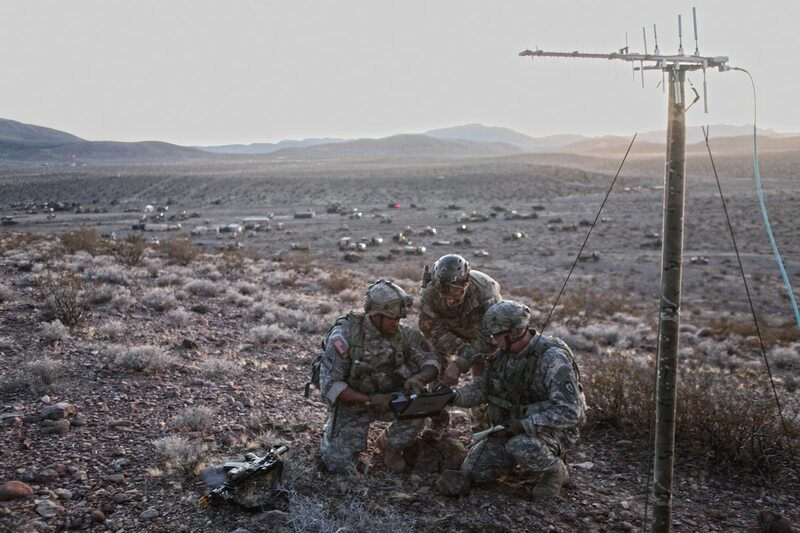 The Army may not currently have a traditional program of record for long-range electronic attack, but that’s not stopping officials from moving ahead to meet operational needs from the field. Leaders are evaluating different options to meet those needs, including different ways of fielding capabilities in spirals and coordinating with coalition partners that do have such tools already, officials said at an Association of the U.S. Army event held Dec. 13 in Arlington, Virginia. The Army hopes to know in early 2019 whether it can operate its large unmanned aircraft system like the Air Force and control drones remotely from hundreds or thousands of miles away. The Air Force’s MQ-1 Predators and MQ-9 Reapers, even when flown halfway around the world, are controlled from a remote location within the United States via satellite link. 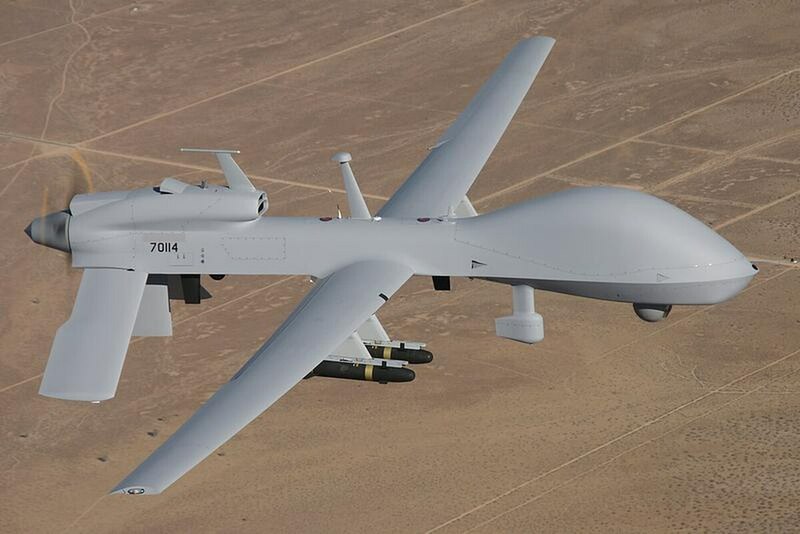 But the Army’s MQ-1C Gray Eagles — which are division assets used at the tactical and operational levels, and are manufactured by the same company as the Predator and Reaper — are operated locally in theater.